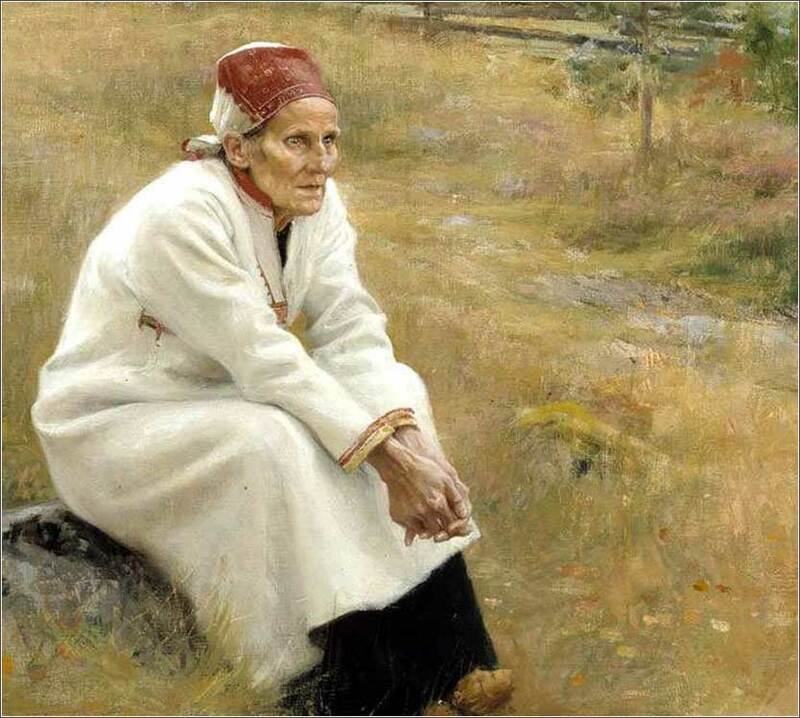 Finnish Lady Outside Church by Albert Edelfelt, ca. 1893. Whether she is praying or daydreaming, Edelfelt manages to convey that she is not looking at something she sees; she is lost in thought. 339 people in our community are currently praying with you. There is a story to this recording. A few months before his death, Elvis was giving a concert in Montgomery when he suddenly announced that he would sing this gospel number. He had never performed it in public before and never would again. (He could only find sheet music for the piano and backup singers, so his band sat silent). It is a touching moment, to see him moved by the Spirit in the midst of his many difficulties. O Lord Jesus Christ, draw thou our hearts unto thee; join them together in inseparable love, that we may abide in thee, and thou in us, and that the everlasting covenant between us may stand sure forever. O wound our hearts with the fiery darts of thy piercing love. Let them pierce through all our slothful members and inward powers, that we, being happily wounded, may so become whole and sound. Let us have no lover but thyself alone; let us seek no joy nor comfort except in thee. 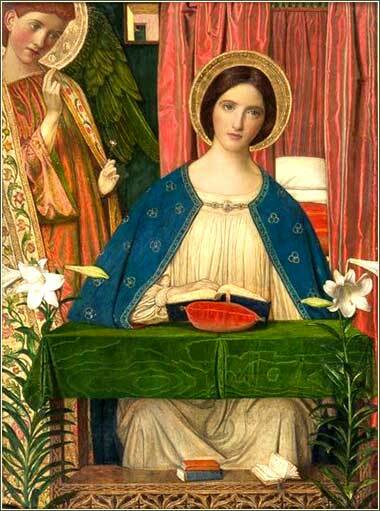 The Annunciation by Joseph Gaskin, ca. 1898. The dominant Renaissance feel for this charming rendering of the Annunciation must have been startling in the heyday of Expressionism. Then, as all the people watched, Solomon stood before the altar of the Lord with his hands spread out toward heaven and said, “O Lord God of Israel, there is no god like you in heaven or earth, for you are loving and kind and you keep your promises to your people if they do their best to do your will. Today you have fulfilled your promise to my father David, who was your servant; and now, O Lord God of Israel, fulfill your further promise to him: that if his descendants follow your ways and try to do your will as he did, one of them shall always sit upon the throne of Israel. Yes, O God of Israel, fulfill this promise too. “But is it possible that God would really live on earth? Why, even the skies and the highest heavens cannot contain you, much less this Temple I have built! And yet, O Lord my God, you have heard and answered my request: Please watch over this Temple night and day—this place you have promised to live in—and as I face toward the Temple and pray, whether by night or by day, please listen to me and answer my requests. Listen to every plea of the people of Israel whenever they face this place to pray; yes, hear in heaven where you live, and when you hear, forgive. “If a man is accused of doing something wrong and then, standing here before your altar, swears that he didn’t do it, hear him in heaven and do what is right; judge whether or not he did it. “And when your people sin and their enemies defeat them, hear them from heaven and forgive them if they turn to you again and confess that you are their God. Bring them back again to this land which you have given to their fathers. “And when the skies are shut up and there is no rain because of their sin, hear them from heaven and forgive them when they pray toward this place and confess your name. And after you have punished them, help them to follow the good ways in which they should walk, and send rain upon the land that you have given your people. “And when foreigners hear of your great name and come from distant lands to worship you (for they shall hear of your great name and mighty miracles) and pray toward this Temple, hear them from heaven and answer their prayers. And all the nations of the earth will know and fear your name just as your own people Israel do; and all the earth will know that this is your Temple. Solomon first gives thanks for the immediate issue: the Temple represents the fulfillmentMore accurately, it is a partial fulfillment, for God promised Abraham that “in you all the families of the earth shall be blessed.” of a promise made all the way back in Genesis 13. Kept by Solomon and David, but more important, kept by God. And it only took 1,000 years! He then addresses a question that occurs to all who read the books about the Tabernacle and then the Temple; how can it be that God is inside a box, no matter how fancy it is? Solomon recognizes this great attribute of Yahweh, so different from other gods: his omnipresence and infinite nature. He seems to know that God is not in the “Ark”; this concept of an infinite formative power has a philosophical sophistication that will elude the great Greeks until Plato, 500 years later. The Hebrews were not philosophers, and Solomon is an oddity in the Old Testament. The great asset the Jews had, in coming to dominate Western religious thought, was not brilliance, but faith and a personal relationship with a living God. The Greeks eventually arrived at the conclusion that there must be a single organizing principle to the universe, but lacking faith, they could not find God by their intellect. God came to us, not through the mind, but through faith. We cannot find Him; He has to find us. The second paragraph, asking God to judge those who come before His altar, has the same odd nature as much of the Lord's Prayer: recognizing what God will do, in the form of asking Him to do it. In effect, it is a prayer of praise and faith, and a showing that one's will is in accord with that of God. And here again, notice that Solomon asks God to hear a petitioner “in heaven”, not in the Ark. The paragraphs about battle and rain crystallize the difference between the old and new covenants. God will punish the Hebrews for their sins, by making them lose battles or by bringing drought; they can end the punishment by prayer and repentance. They are treated, in effect, like young children. It is a paradigm many Christians hold in the back of their mind, but once a perfect Christ hung on a cross, the relationship changed. The beloved of God, now, might suffer the most while in the world. The Old Testament is a lengthy training session in sin, a primary school, preparing us for the more advanced final lessons to be brought by Christ 1,000 years later. James 4:7: I will submit myself to God and resist the devil, and he will flee from me. I will humble myself before the Lord, and He will exalt me.